Are you a Home Buyer or Homeowner sitting on the fence because of credit issues and low credit scores? Would you like to purchase a home or refinance your current loan at today’s low interest rates? The good news is that you are in luck because things have changed. We have bad credit mortgage programs. That’s right, our new mortgage programs allow bad credit. With lower credit score requirements (down to 500 credit scores) and shorter waiting periods since things like, bankruptcy, foreclosure and short sales, we are obtaining more and more loan approvals. I am sure you are thinking that you must need a large down payment or a lot of equity to qualify with bad credit, right? Wrong. These programs allow for a less than 5% down payment or equity in the property even for credit scores well below 600 (even down to 500)! According to Yahoo Finance, in 2017 the national average credit score was 687. So, you can have a score well below the national average and still get approved for a mortgage with these new programs. Well, the big banks don’t like these loans. Most big banks have minimum credit scores of 680-720. They set their credit standards high so it appears to the regulators and shareholders that they are lending only to those who represent a very low credit risk. Let’s do the math. You don’t need excellent credit, a big down payment or large amount of equity to qualify. 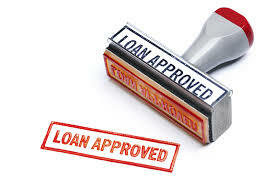 Are you ready to see what these new bad credit mortgage programs can do for you? Brian and his team have been funding Home Loans for over 26 years.